Thirsty Pilgrim: Today is Moeder Lambic Day. The new joint on Place Fontainas opens officially today. The project has gotten some well-deserved publicity from Le Soir and elsewhere. Can't wait to see what's on draft to kick things off... I'll be sure to report back with a snapshot or two. Feel free to use this space to share your congratulations with Jean, Nassim, Andy and the whole Moeder Lambic team. 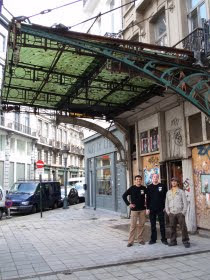 Wielding a central location, 40 taps, six handpumps, and — most importantly — a critical perspective, they have just altered the face of Belgian beer locally and nationally. There will be reverberations. Stay tuned. Félicitations à toute l'équipe, je suis très impatient de venir tester les nouvelles pompes! Au vu des photos ça risque d'être un bien glorieux établissement! A très bientôt! Well done guys! Hope it goes well, and to pay a visit before long. Set us up a few vicarious ones, there, Joe. Congratulations! I hope your work will be wiedely appreciated! The more I hear or read about Moeder Lambic Fontainas, the more impatient I get to schedule my next visit to my native city! Congrats on the new location! I am hoping to make it out there next weekend with my wife. Looking forward to seeing what is on tap. 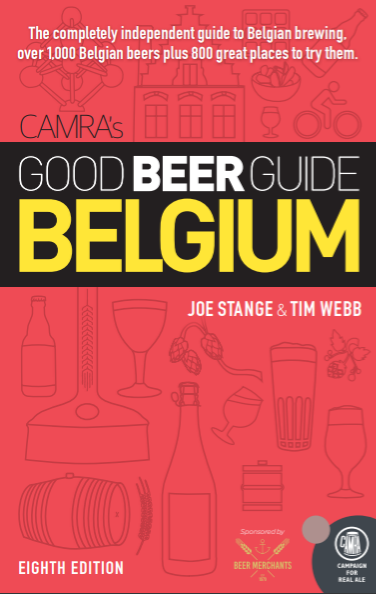 Can't wait to visit, will be coming to Brussels (from England) on 4th-8th February, looking forward very much to some Cantillon and De La Senne on tap! What a pity that the bar staff seem hell-bent on RUINING this bar by constantly playing crap music at such high volume that conversation is impossible. There are too many staff standing around talking to their colleagues and friends - if they had just two professional staff (like in 't Brugse Beetje in Brugge) they would not have time to piss around with offensive loud music. The owners are never there these days after the initial enthusiasm of the opening last October 2009. I took three friends visiting from UK, all Belgian veterans, there last weekend to drink the fine range of hard-to-get beers: we managed only one beer each before leaving to avoid the noise. What a pity: this bar began with such good intentions but is now a children's disco!!! Never mind - Poechenellekelder is not too far away - they have great beers AND volume control!